Saving you and your team from distraction. Access through secure 2048-bit SSL encryption. Trigger web hooks after each commit. One-click repository backups whenever you want. Versionshelf plans start at €4.95 / month. Versionshelf supports Git, Mercurial and Subversion repositories, so you can choose which VCS suits your development process. Compare your revisions and keep the overview on all changes. Intra-Line-Diff offers you a line based comparison about all changes. All commits can be tracked down easily in the browser. Simply click on the revision number and all the details are shown in the Repository Browser. Browse all your repositories online. 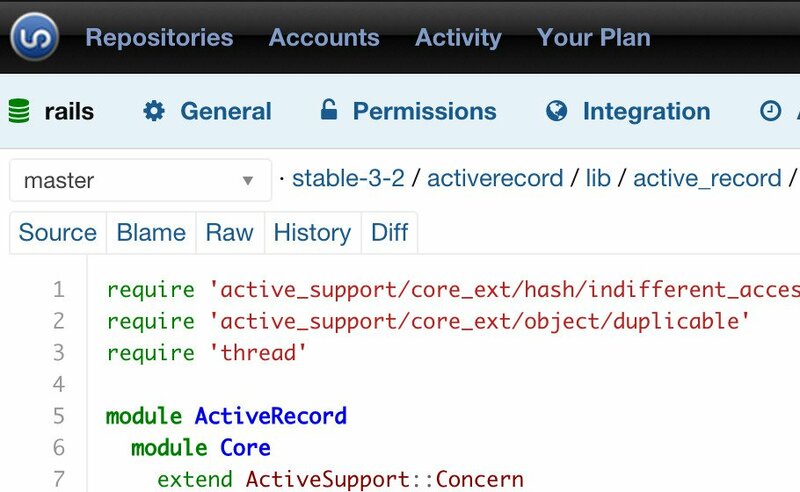 The repository browser shows you all the important information for Git, Subversion and Mercurial in depth. Access your repositories over an encrypted HTTPS (2048-bit) connection. We are hosting your data in environmentally-friendly and redundant data centers, provided by our hosting partner. The servers are all located in Germany, so we are subject to German data protection regulations and laws. Integrate your Development Systems with the power of web-hooks. Control your Continuous Integration System, trigger your deployment process or trigger automatic backups to you local repositories. 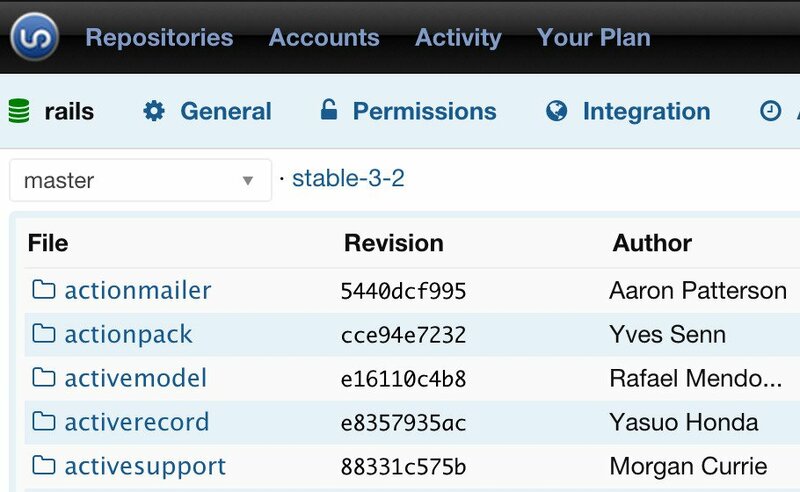 Many popular integrations are already supported: RSS-Feeds, Twitter, Web-Hooks, E-Mail, Bugshelf. 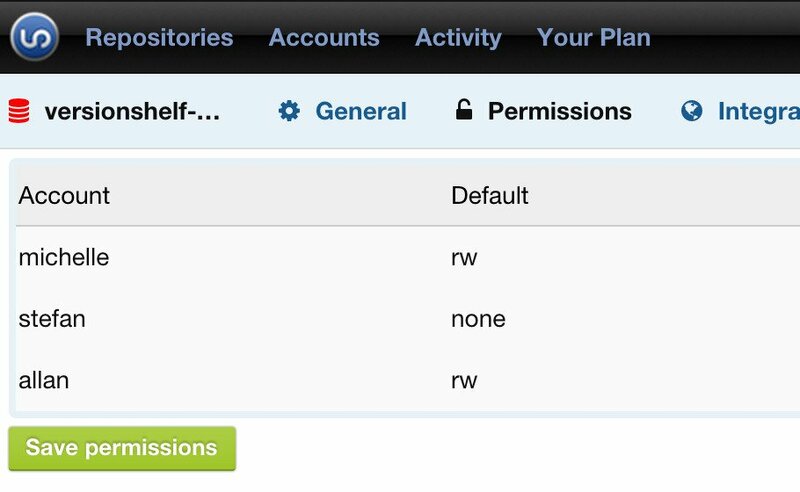 Manage permissions or add and remove members within the web gui. Repository administration is done in seconds. Perfect presentation of your source code in the browser with syntax highlighting for over 50 languages. Why should you use Versionshelf? Use the most reliable and popular open source version control systems: Git, Subversion and Mercurial. 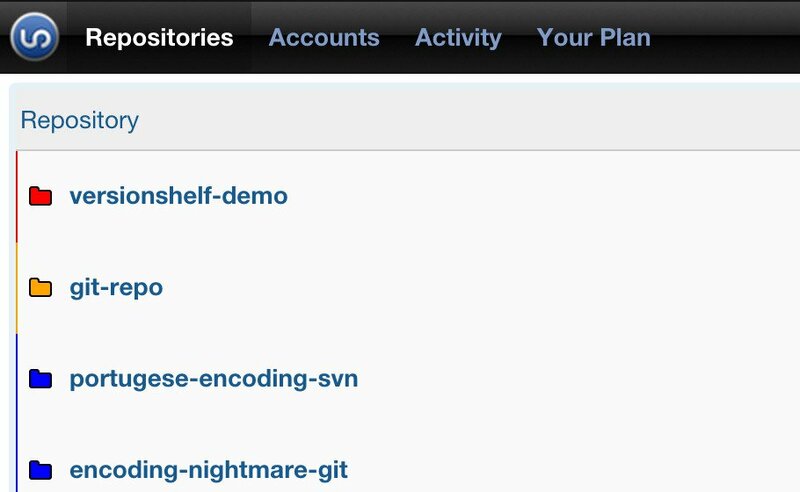 Versionshelf helps teams of developers to stay productive and not to become administrators. 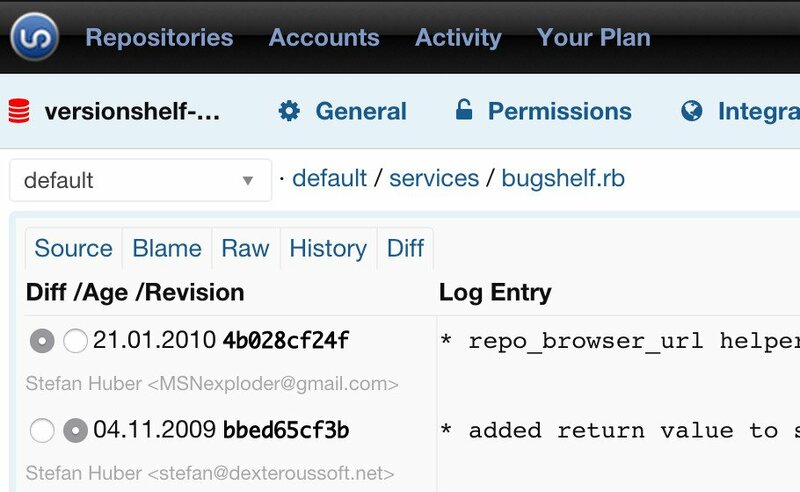 Just use Versionshelf - we keep it secure, up and running. 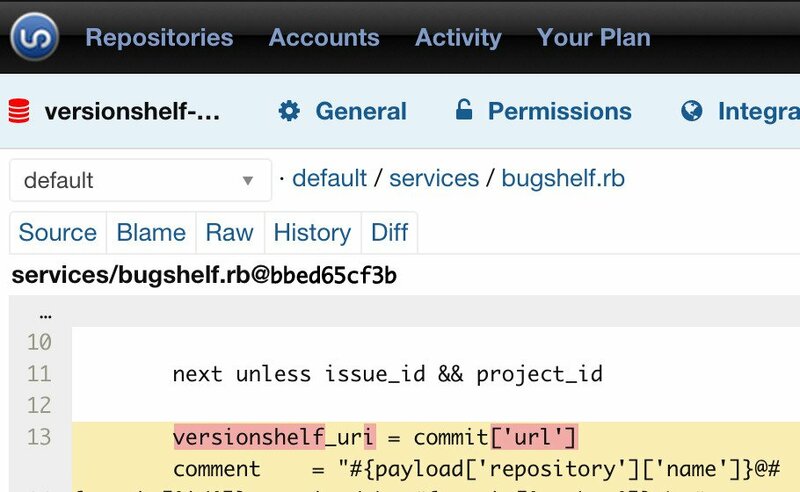 With the power of Git, Subversion and Mercurial at its core, Versionshelf gives you a reliable, streamlined and easy to use system to manage your code. Be sure not to lose anything! We take care this will not happen (at least as long as you commit and push your work to our servers). We are in business for more than 8 years and know how to build and run reliable and secure version control systems hosting.